Learn how to automatically send a receipt to your client after they pay or partially pay your invoice by credit card. 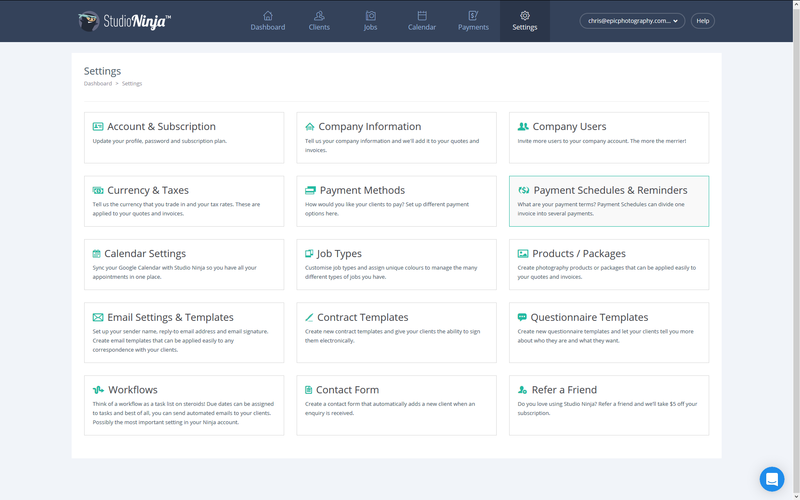 By ticking a box Studio Ninja can automatically send a receipt email and PDF to your clients when invoices are paid (or partially paid). IMPORTANT: This feature only works if you have setup Stripe or PayPal. Once your Studio Ninja account has been setup to receive credit card payments then follow the steps below to enable the auto send receipt feature. Step 1: Go to Settings > Payment Schedules & Reminders. Step 3: Tick the box that says "Automatically send receipts after credit card payments have been processed". Step 4: Feel free to change the subject text and/or message text to sound more on brand with your business. IMPORTANT: Do NOT delete the link that says "Please view your updated invoice online by clicking here". This is the link your client will use to view the updated invoice in their Client Portal. 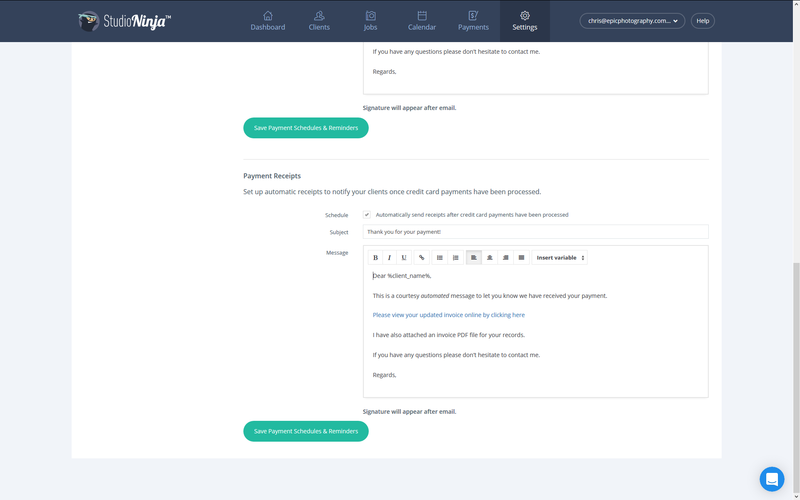 From this point on, whenever your client makes a credit card payment either by Stripe or PayPal, Studio Ninja will automatically send them an email with a link to their updated invoice in the Client Portal and a automatically generated PDF receipt!